The last 3 general election results in the Caricom region brought some lopsided returns. It began in Grenada in March with the incumbent New National Party (NNP) headed by Dr Keith Mitchell. The NNP won all 15 seats for the second consecutive time and its third Grenada electoral clean sweep overall. In April in Antigua, the Gaston Browne-led Antigua Labour Party won 15 out of 17 seats; and finally, there’s Barbados where the then Opposition Labour Party of Mia Mottley won all 30 seats in elections on 24 May. These recent election results, where the electors decided to vote heavily for one party, must be of concern to other political leaders and their parties throughout the rest of the region. I am not sure that there is one reason, or if any one person knows all the reasons, for this seemingly new phenomenon of how our people are voting in this first past-the-post system; but, it is worthwhile to at least explore what may be responsible for the phenomenon and some of the possible reasons for it. In the context of Grenada and Antigua, where the sitting governments were returned with overwhelming mandates, my respectful view is that voters appreciate when their government is at least trying to do good. My submission is that for too long, our politicians have taken our people for granted and sold them stories. These stories are not selling anymore. Voters do not believe that their government is perfect; they do not expect the unemployment rate to be zeroed, and that all social and economic ills will go away overnight. They know that these islands are not wealthy and that ‘manna’ no longer falls from the sky. What they want to see is a government working day in and day out, trying to solve the challenges that confront us; they want to see some honesty not only in the management of the resources of state but also in communicating with them from time to time. I believe these basic things – although simple – are what voters look for. On the other side of the political divide, in both Grenada and Antigua, is the opposition that must convince the electorate that they are a viable alternative. The opposition parties must satisfy the voters that if the government collapses at any time, the opposition can step in and govern. I am not sure if the two main opposition parties – the National Democratic Congress (NDC) in Grenada and the United Progressive Party (UPP) of Antigua – achieved that. 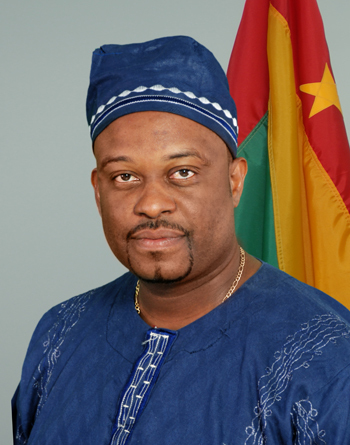 In both the Antigua and Grenada cases, the two opposition leaders served not too long ago as minister of finance for their respective countries. Thus, they had an opportunity to impress the nation with their financial management and really create a platform to launch their campaign for the prime ministership. It seems, though, that the voters were not very impressed with their performances as finance ministers. In Grenada, during the tenure of Nazim Burke as minister of finance, the NDC government was cash strapped. They were unable to deliver any significant programme that they can hail as a signature achievement. Indeed, in their last days in government they had to sell state assets to meet recurrent expenditure. It took the new finance minister and prime minister, Dr Mitchell, to halt the economic slide by implementing an economic programme immediately on taking office in February 2013. To observers, the unfolding events did not make Burke look good. Further, the NDC – which has been totally dominated at the polls by the NNP – has a fundamental problem. In more than three decades as a party, the NDC has won just a single general election, though it has served two terms in government (on the first occasion, they formed the government when someone crossed the floor; and on the second occasion, in 2008, they secured an 11-4 victory). Numerically, the NDC has a smaller political base than their NNP opponents; it means the NDC has to do much more to attract new supporters and independent voters. Against this background, they decided some years ago to expel their most charismatic politician and the best political minds to have ever occupied their ranks; choosing to do so over a blatant untruth of conspiring to overthrow the party’s leader. I cannot speak much about Antigua except to say that UPP leader Harold Lovell is no Baldwin Spencer. Former prime minister Spencer, who once led the UPP, had a history of struggle with the working class. He had great charm and a caring personality. Antiguans knew he cared sincerely. After Spencer stepped down as UPP leader, there was some conflict within the party and prominent members then formed a fringe party that contested the last elections. To be successful in politics, the mathematical principle of addition works much better than subtraction; both the NDC and UPP can testify to that. In Barbados, the Freundel Stuart-led Democratic Labour Party (DLP) government was a fiasco. Barbados traditionally was the model of political stability and good sense. But, under Stuart, it was made into the laughing stock of the region; a place where there were shortages of garbage trucks and buses. I was a student that lived in Kendal Land in St John’s in my time at Cave Hill and appreciate the importance of those buses. What’s with a sewage system so bad that instead of the pristine beaches, it was sewer on the road of the east coast making international news? How can you win an election with all these allegations of corruption and nepotism? The DLP cannot blame the Barbadian people; members of the party should all take responsibility. I know that Freundel Stuart did as leader. The leader of the NDC in Grenada said emphatically that he was not responsible for the party’s defeat and never offered his resignation. Other islands should take note. I believe that Dominica’s election may be the next one that’s constitutionally due. It will be interesting to see how the Dominican people view the rebuilding effort of a government led by one of the most experienced and respected leaders in the region.